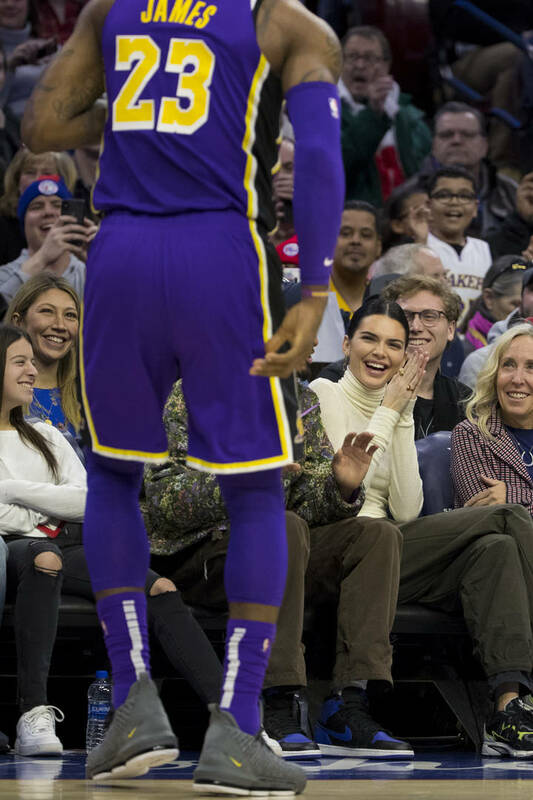 Kendall Jenner got meme'd at the Lakers game. Kendall Jenner has been spotted sitting courtside often this NBA season, supporting her on-again-off-again boyfriend Ben Simmons with the Philadelphia 76ers. She's been praised as somewhat of a good luck charm by front office executives on the team, which goes against what we've all believed for years. Is the Kardashian Kurse still a thing? Does it not extend to Jenners? These are the important questions... The supermodel was sitting in her regular floor seats when the Sixers took on LeBron James and the Los Angeles Lakers. On more than a few occasions, the camera caught Kendall suspiciously staring at Bron with love in her eyes. Jenner became the subject of many memes on social media after she was caught lustfully looking at LeBron on more than one occasion. When you're in the presence of the best basketball player in the world, we can often find ourselves looking on in awe. Kendall straight up had love in her eyes every time he was on the court though. Ben Simmons must have noticed too because he upped his game later on to give the Sixers the win. It seems Rihanna isn't the only woman who wants to get with LeBron. Do you think Ben was pissed?